Geothermal Solutions for Bloomington Indiana. "Quality installed all ductwork and geothermal furnace in our new home. Scott met with me before they had the business and went over several options. I was very impressed with what he presented and they followed through. I received several comments from other sub-contractors about how great the HVAC rough in looked. We are nearly finished with the house now and the furnace is running great." Christopher H.
"Owner Scott assesssed this self contracted new home in depth. He discussed my planned methods for insulating and air sealing, and actually suggested improvements that enabled us to size the system more accurately. He picked up details that other contractors missed, even to the point of improving the drainage of the geothermal gound loop." S.F. 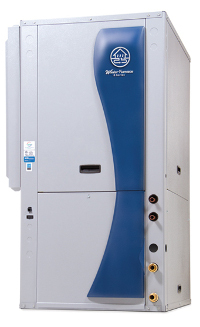 Quality HVAC offers only WaterFurnace brand geothermal products to the Bloomington, IN area. WaterFurnace has been the most recognized and respected name in the industry for nearly three decades. Every unit is tested before it leaves the manufacturing facility to ensure flawless operation on startup. We combine a commitment to quality installations with WaterFurnace's commitment to quality products - that's the best of both worlds. The 7 Series represents our top-of-the line products and the 700A11 is quite possibly the most advanced heating and cooling system on the planet. It signifies groundbreaking innovations on multiple fronts - most notably as the first variable capacity geothermal system available to homeowners and the only product to surpass both 41 EER and 5.3 COP. It's vastly more efficient than any ordinary heating and cooling system and 30% more efficient than any other two-stage geothermal heat pumps. The 700A11's variable capacity technology works in concert with a variable speed loop pump and variable speed blower motor to provide a level of comfort you need to experience to believe. The unit also provides the industry's widest capacity rangeâ€“from as low as 20% to as high as 130% - to keep homeowners comfortable over the widest scope of conditions. 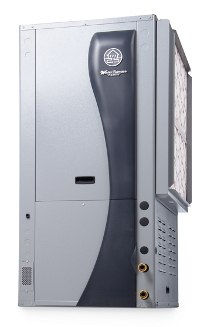 WaterFurnace 3 Series units benefit from technology that's been refined through 30 years of research, engineering advancements, and manufacturing experienceâ€”all at a great price point. 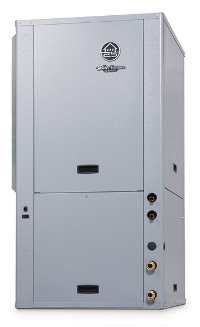 The dual capacity 300A11 provides forced air heating, air conditioning, and even generates a portion of your home's hot water - all from a single unit that offers a level of comfort and savings that's significantly greater than any ordinary system. All 3 Series products utilize environmentally friendly R-410A refrigerant and the best in system components, including the next generation of WaterFurnace controls, Aurora. Aurora controls provide two-way communication between components, resulting in remarkable troubleshooting capabilities. The 3 Series upholds the standards we've set over three decades and the trust associated with the WaterFurnace name and offers it all at a great value. Learn more at our website dedicated to geothermal solutions. Enter your email, click the subscribe button once then check your email for the confirmation. Serving South Central Indiana, Monroe County, Brown County, Greene County, Owen County, Morgan County, Lawrence County, Jackson County, Bloomington, Bedford, Nashville, Columbus, Ellettsville, Greenwood, Jasper, Logotee, Martinsville, Mitchell, Mooresville, Nashville, Paoli, Salem, Seymour, Shoals, Smithville, Spencer, Stinesville, Unionville, and Washington.